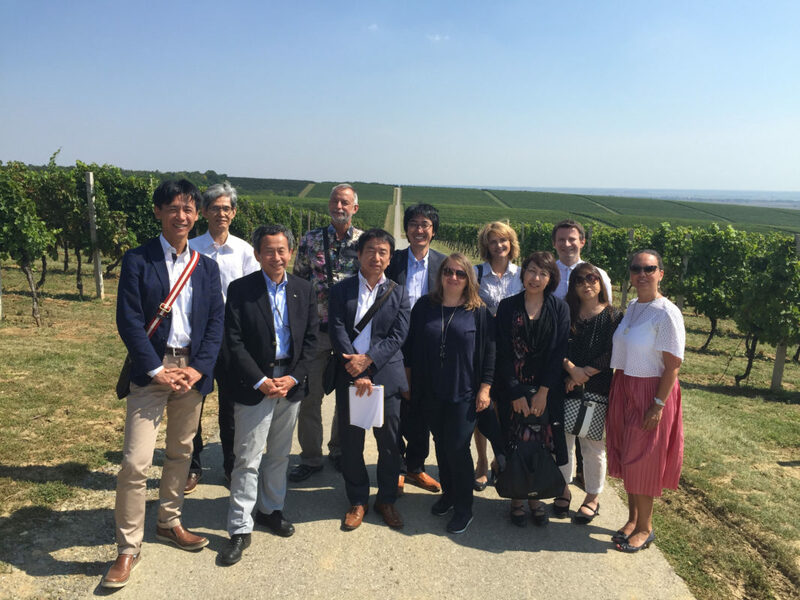 Distributors of Croatian wines in Japan, together with the representatives of several important Japanese retail chains, visited Croatia last week, with the aim of continuing the successful collaboration and further enhance Croatian wine export to Japan. During their visit to Vina Belje vineyards and wine cellars, seven Japanese distributors and potential buyers that arrived to Croatia tasted a selection of carefully chosen wines, as well as authentic Croatian food specialities and decided to import premium quality wine and grape varieties, which have not been present on the Japanese market until now. Their export to Japan will have started by the end of this year. 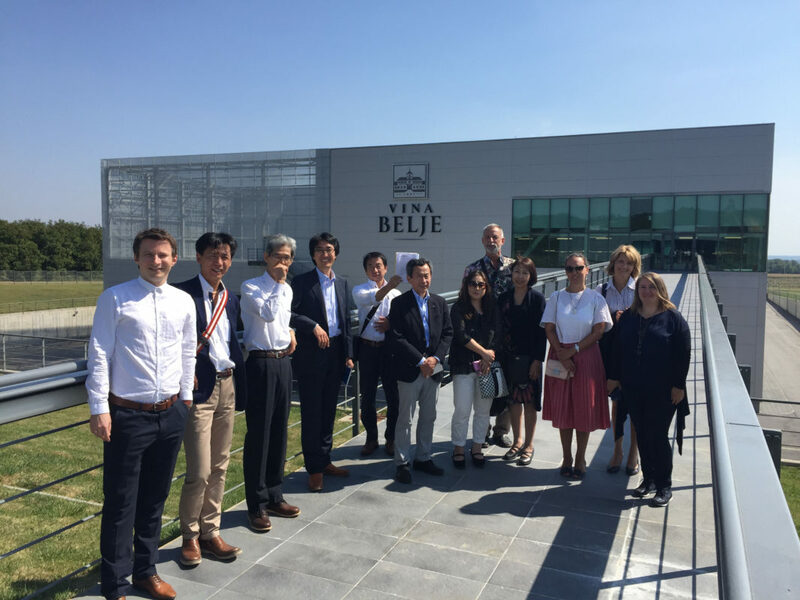 Vina Belje started exporting wines to Japan last year, which was followed by a large exhibition of Croatian wines at the leading trade fair in Japan – the Supermarket Trade Show, held in February this year, in Tokyo. The Tokyo exhibition and the Japanese partners’ visit to Croatia are all part of a big project for the promotion of Croatian wines in Japan, which is financed through the Vinska Omotnica (“Wine Envelope”) – part of the measure “Promotion on the Third Country Markets”, which was developed within the framework of the National Assistance Program for the Wine Sector 2014 – 2018 and Vina Belje is one of the companies involved in this project. 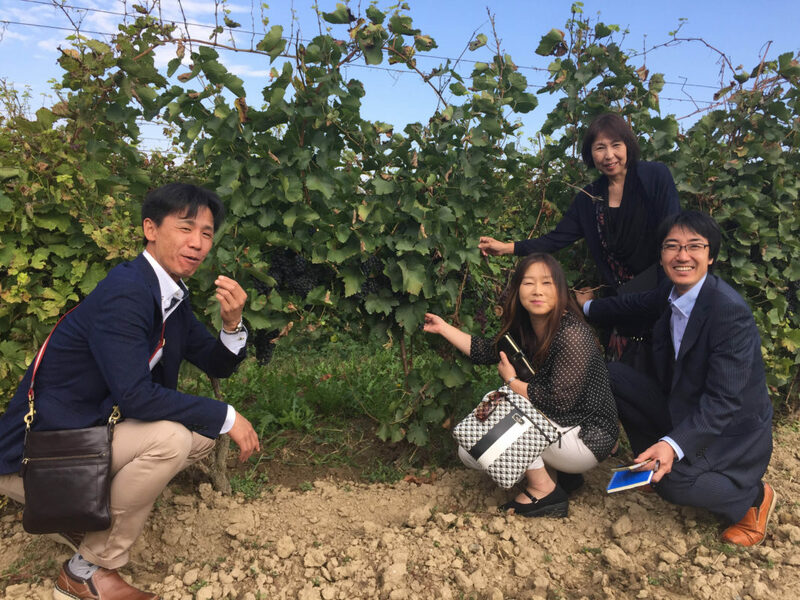 The project has confirmed that, for wine-makers, who offer authentic, premium quality wines, Japanese market is very demanding and very interesting at the same time. Japanese drink 364 million litres of wine per year, and Japanese wine imports are dominated by European wines. 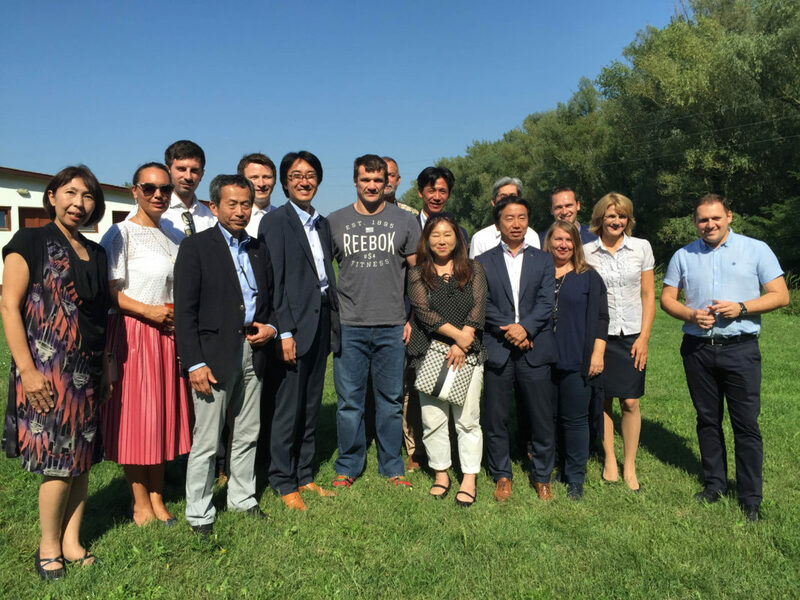 During their visit to the company Vina Belje, the Japanese guests were welcomed by Mirko Filipović, “Cro Cop”, who wished them a pleasant stay in Croatia, which the guests found to be particularly exciting, given Cro Cop’s popularity in Japan and the fact that he is definitively the greatest ambassador of Croatian sports and Croatia in general, in Japan.